Ne, Ganbaru yo. 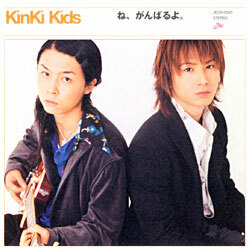 was written, composed and produced by Miwa and Masa for the very popular duo, KinKi Kids. As with all KinKi Kids songs, it went to #1 right off the bat! Having heard Miwa sing part of the song, I really hope DCT decides to record their own version on of these days.